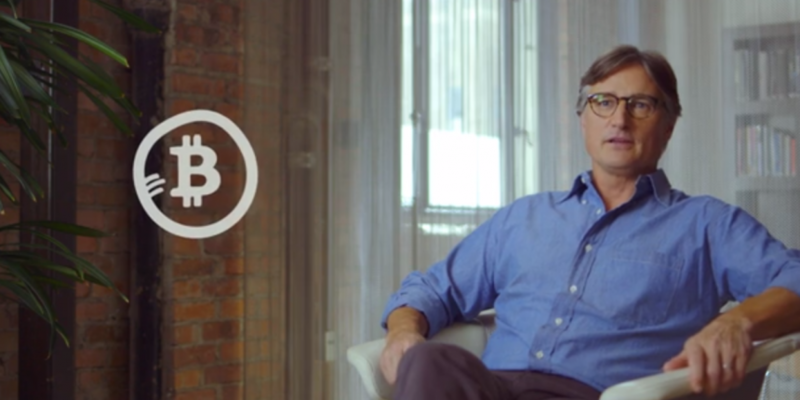 The bitcoin storage platform, started by CNET founder Halsey Minor, has raised $7m so far, with 51 days to go on its funding campaign. Minor said the decision to raise a financing through crowdfunding was a “supplement” to other fundraising efforts. He also said it is an attempt to address the limited investment opportunities available to the general public for technology companies like his. Twenty-four investors are listed so far as participants in Bitreserve‘s funding round on CrowdCube, one of two platforms the startup is using for its crowdfunding efforts. CrowdCube is aimed at investors residing in the UK, while the other platform, Venovate, targets investors in the US. The company is also raising money from institutional investors in addition to crowd-sourced funds. According to Tim Parsa, who was previously chief executive but is now president of global strategy and markets (Minor has assumed the CEO role), seven institutional investors have put money into the round, with the rest coming from the crowdfunding platforms. Bitreserve is touted as a way for the masses to hold bitcoin without exposure to bitcoin’s volatility against fiat currencies. It also promotes its transparency features, which includes a live accounting of its assets and obligations to its users. Bitreserve’s funding page on CrowdCube. Source: CrowdCube. When the service opened to the general public on 30th October, it had assets of $166,091, according to its ‘Real-time Transparency Page‘. At press time, its assets stood at $279,321. The service has “thousands” of users currently, according to Byrne Reese, who heads the firm’s product development. Minor wouldn’t reveal Bitreserve’s exact user numbers, but he emphasised the platform’s attractiveness to third-party developers. He said about 40 developers were using Bitreserve’s API to build their own products and services, including two cryptocurrency exchanges that are using the platform for its transparency features. “People don’t understand the difference between trading, clearing and custody [of funds] … The whole thing needs to be transparent and banks have no product for that,” Minor said. When Bitreserve was in the early stages of testing, Minor outlined a plan for users to hold their bitcoin assets on his platform while using it to perform free conversions to popular fiat currencies like US dollars or Japanese yen. The platform would have merchants connected to it who would accept dollars or yen in their own Bitreserve accounts. However, the plan to sign up merchants hasn’t progressed, Minor said. The firm is focusing its efforts on signing up third-party developers instead, with plans for a developer’s conference next year. “Our goal is to let users hold money in whatever form that is comfortable for them … [traffic through our API] is what we talk about internally,” Minor said. Bitreserve’s current financing effort is a Series B round. The firm also raised $5m in an earlier round, according to Reese. Neither Minor nor Reese would disclose the investors or investment firms that participated in that round. One of the company’s transparency pledges is to have its assets audited by an external accounting firm every 90 days. Accountants SingerLewak has been appointed to perform the first audit on 31st December.